Europe is now complete with the Northern Region. 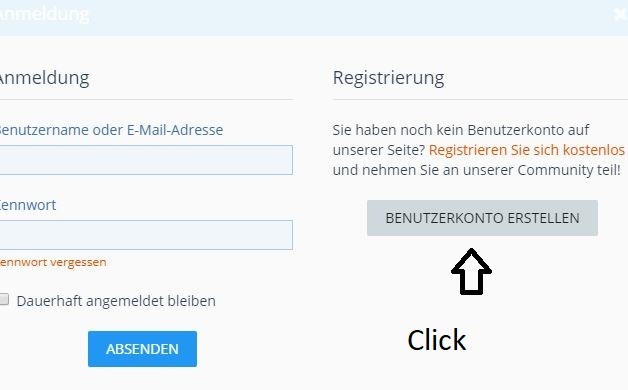 How do you join the forum, as it is not an English forum, cannot see how to register ? Right, that`s a German forum private from me. 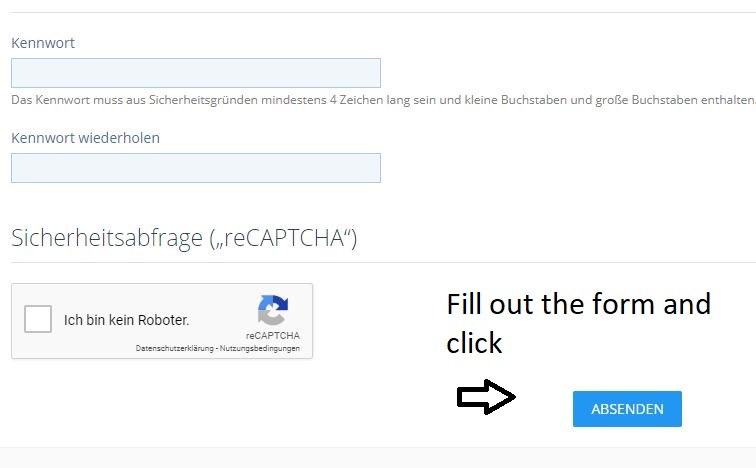 German language. Here ist an English forum language English. Thank you for your assistance, very kind of you. ATTENTION AT ALL DOWNLOADS from Slim Lights Base v3.1 in the forum an UPDATE available! 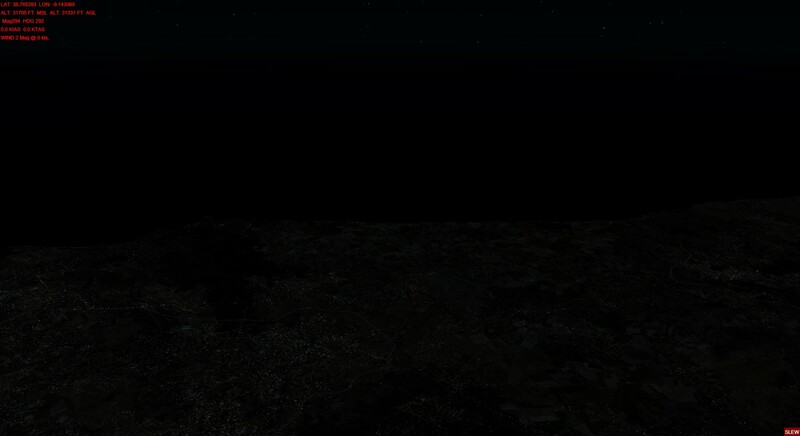 For those of us with the full ORBX packages including lights, do we need to uninstall the Orbx Lights in the FTX Centre?, if so will that be enough for your packages to work in P3Dv4? Grateful for some feedback. 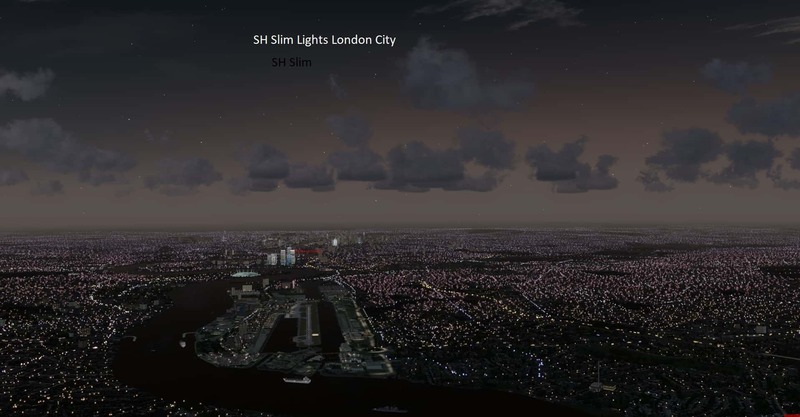 No, the Slim Lights are completely independent of the OrBX Lights.But you have to keep in mind that two light systems generate more load and then double lights are present, even if you do not see immediately.My lights go far beyond the LOD. But you have different configuration options. 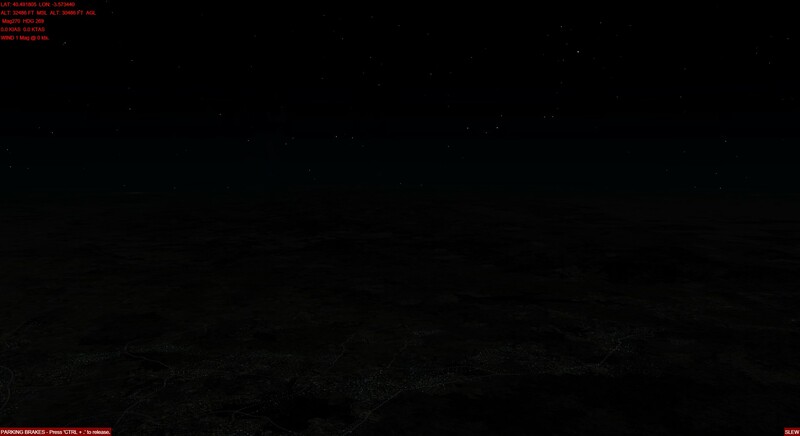 Since OrbX is present in the cities, you can switch off my residetial lights in the configurator.Likewise, you can do in FTX Central shutdowns and use my lights. It is flexible. Finally, I also build the Global Switch which allows one click to turn off all lights of the FS and only use Slim Lights. 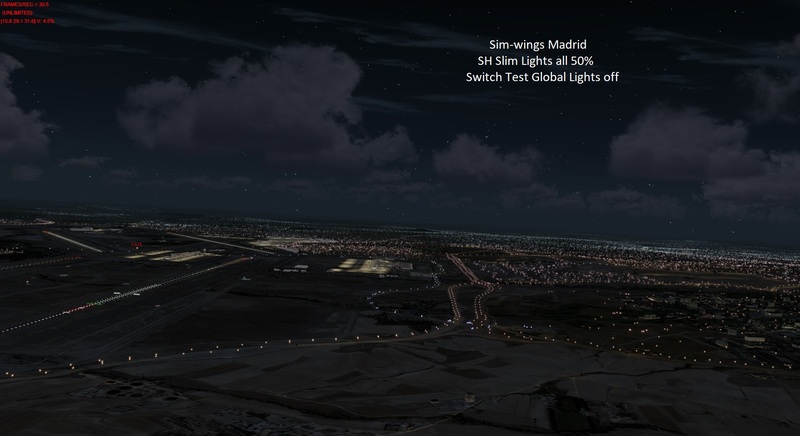 Does this "fix" the issue that Orbx and Black Marble/Night Environment have where they have lights on all major roads/highways that are out away from cities? The "spider web" effect that we see in these projects. In the U.S. at least, when you get away from cities, the highways inter-connecting the cities are not all lit up as far as the eye can see. Totally non-realistic. That's my only complaint against these night lighting products. First of all. Thank You for making this tool available. I already activated my login credentials and go into the forums, but I'm unable to find the download link. If you do not want anything outside you can disable everything except residential. My lights, however, look more subtle than the others, so not so obtrusive and big. 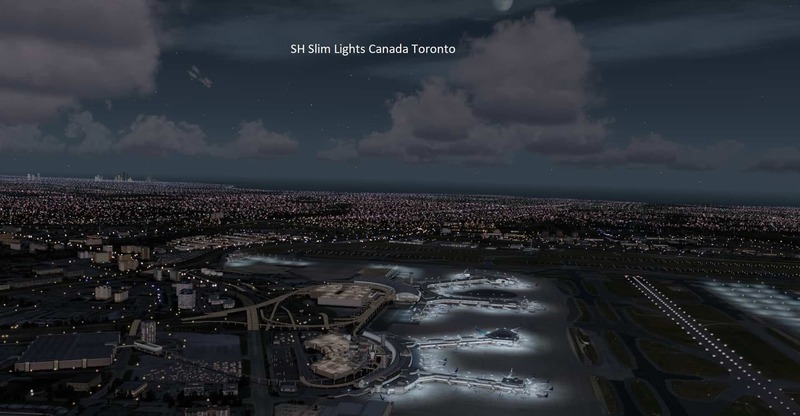 In the picture, all other lights of the sim are disabled. And this ist Portugal above FL300. i have never seen someon doing that big job to our communit yofr free, Rainer. 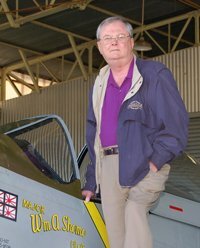 So thank you for your time you spend in our hobby and giving it for free. I really respect and appreciate the work you are doing. Got the files, this looks very, very promising. This is quite fascinating and freeware as well. Quite amazing. I will have to get this on Monday. Not tested with UTX but in UTX you can switch off or configure the lights in the lightswitcher. I think it works. The open beta FTX Switch work great no problems yet.